Wolf Commercial Real Estate, a leading South Jersey commercial real estate brokerage firm with expertise in South Jersey commercial real estate listings and services, now has available premier South Jersey retail space for lease at 162 West Cohawkin Road East Greenwich NJ. This well-located South Jersey retail space for lease is currently under construction and is expected to be available for occupancy in September 2018. Interested parties will find a high-end liquor store in this retail space in South Jersey and multiple housing developments will surround this retail space for lease in South Jersey at 162 West Cohawkin Road East Greenwich NJ, including a new Ryan Homes development. 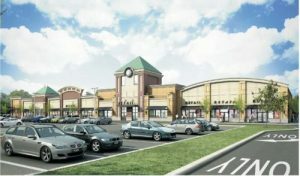 There are from +/- 1,500 to 15,000 square feet of retail space in South Jersey available in this shopping center. There also is a +/- 5,000 sf restaurant pad site with a liquor license at this South Jersey retail space for lease as well as a 5,000 square feet office/day care pad site at this South Jersey retail space for lease. The asking lease rate for this retail space in South Jersey is $16.00 sf/ NNN and interested parties are asked to call for more information regarding build-to-suit options for office space or day care center facilities at this retail space for lease in South Jersey. Ideal uses for this South Jersey retail space for lease include a hair/nail salon or a fitness center and this retail space in South Jersey also can accommodate a restaurant or a day care center. Wolf Commercial Real Estate, a South Jersey commercial real estate brokerage firm that specializes in South Jersey commercial real estate listings and services is offering this retail space for lease in South Jersey. This retail space in South Jersey at 162 West Cohawkin Road East Greenwich NJ is conveniently located at Exit 18 of I-295 and one site at this South Jersey retail space for lease is specifically dedicated to an office user needing access to I-295. For more information about this South Jersey retail space for lease at 162 West Cohawkin Road East Greenwich NJ or about any other South Jersey commercial properties for sale or lease, please contact Christopher Henderson (856-857-6337; chris.henderson@wolfcre.com) or Ryan Barikian (856-857-6307; ryan.barikian@wolfcre.com) at Wolf Commercial Real Estate, a South Jersey commercial real estate broker.